The Husqvarna ST224P is hard to overlook due to the fact that it offers amazing performance and great features. 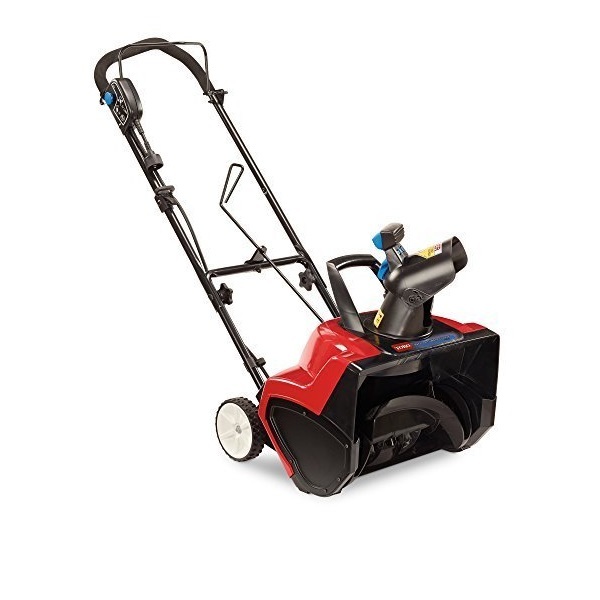 Also, this two-stage snow blower comes at a low price which makes it a great deal. 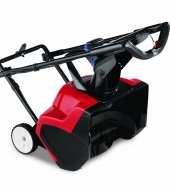 Are you tired of shoveling the snow that gathers on the driveway each winter? Then you have to give the Husqvarna ST224P – 24-Inch 208cc Two-Stage Electric Start with Power Steering Snowthrower – 961930122 a try. 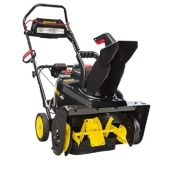 What makes us recommend this model is the fact that it comes with a lot of impressive features. 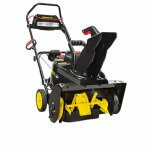 Also, it’s very convenient to use, and it makes clearing the snow an effortless job. 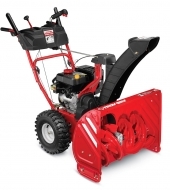 This walk-behind gas-powered two-stage snow blower delights not only through what it has to offer but due to its reasonable price tag as well. To purchase it, you have to spend around $900, which is a lot less than you would spend on other similar models on the market. The fact that it’s manufactured by Husqvarna is another great plus for it, this brand being among the leading brands in this industry. 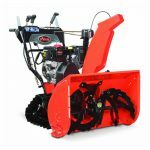 To learn more about this snow blower in order to decide if it’s the right choice for you or not, continue to read this review. 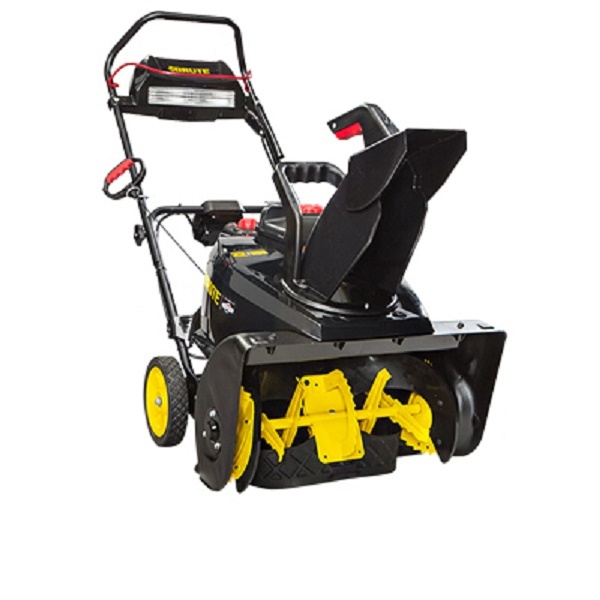 Also, if you want to check other models on the market, go on our website to see which are the best two-stage and single stage snow blowers of the moment. 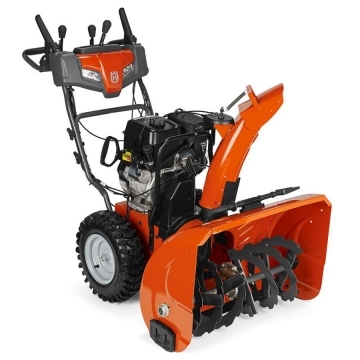 This model features an impressive LCT engine that has a displacement of 208cc. 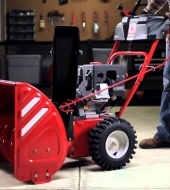 The fact that it has a 120V electric start ensures that you won’t have issues when it comes to starting the unit in cold weather. Also, the engine has a gross torque of 9.5 lb.-ft. It features a friction disc transmission type. Also, it offers 6 forward speeds and a reverse speed that you can choose from. It produces an 88.4 dBA sound pressure level at the operator’s ear. The 15-inch x 5-inch heavy tread tires allow an excellent traction. It has a generous fuel tank volume of 0.71 gallons. 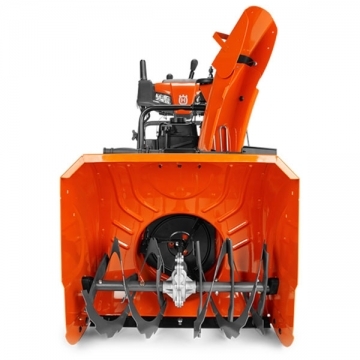 The Husqvarna ST224P has a generous clearing width of 24 inches. 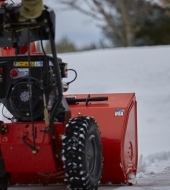 The maximum clearing height that it can handle is 23 inches. The chute can be adjusted to a maximum rotation of 180-degrees. 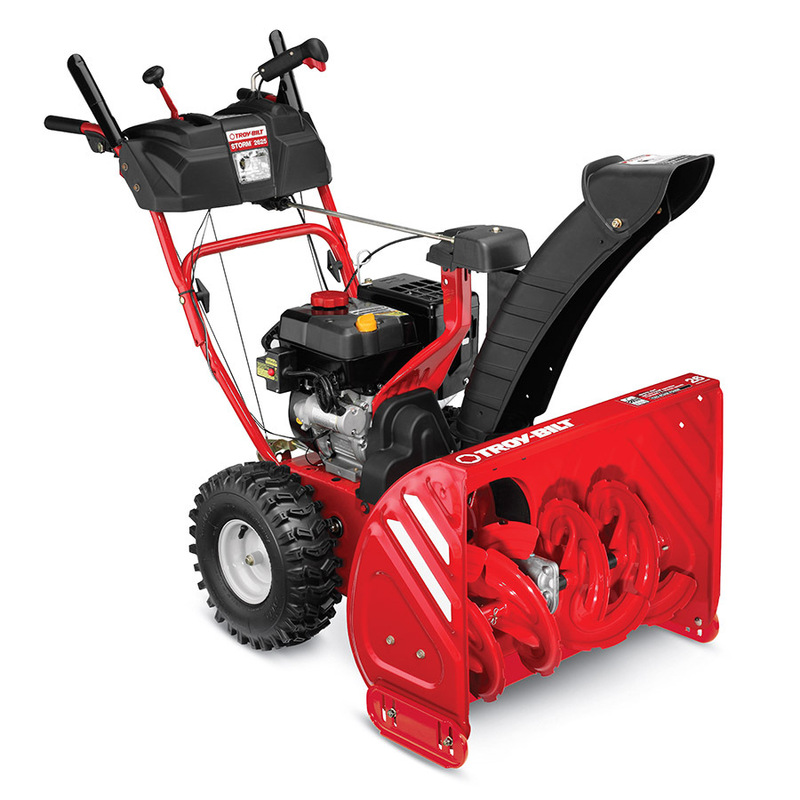 In order to control the direction in which the snow will be discharged, you have to operate the chute control that is located near the operator’s position. It has a maximum discharge distance of 35 feet. The robust auger housing ensures a sturdy operation. 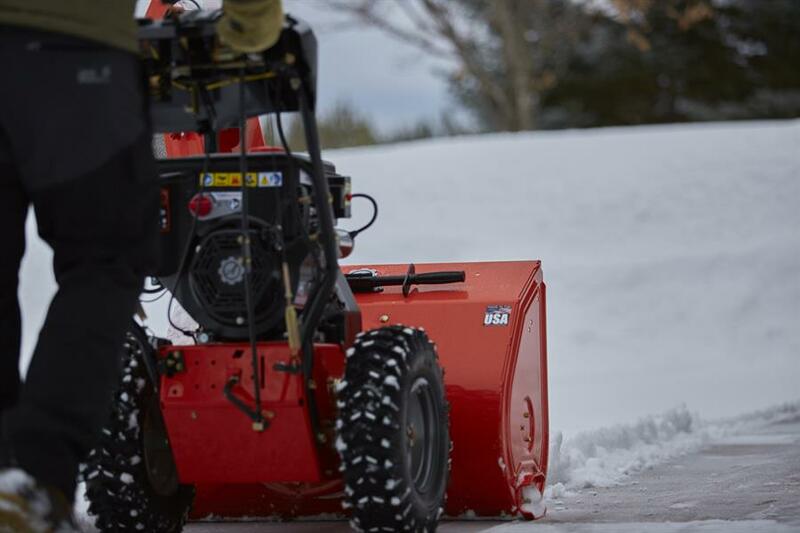 Also, the ribbon auger ensures efficient clearing due to the fact that it mixes air into the snow, making the snow a lot easier to handle by the unit. 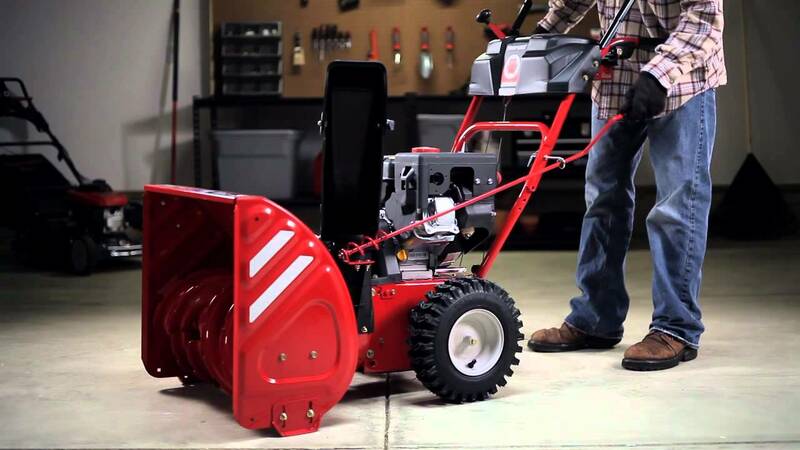 One of the many features that make this twp-stage gas-powered snow blower very convenient to use is the fact that it comes with LED headlights. What makes the headlights so important is the fact that they allow an easy operation when it’s dark outside. 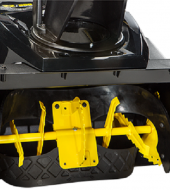 The adjustable skin shoes that it features allow you to adjust the space between the ground and the auger housing easily. 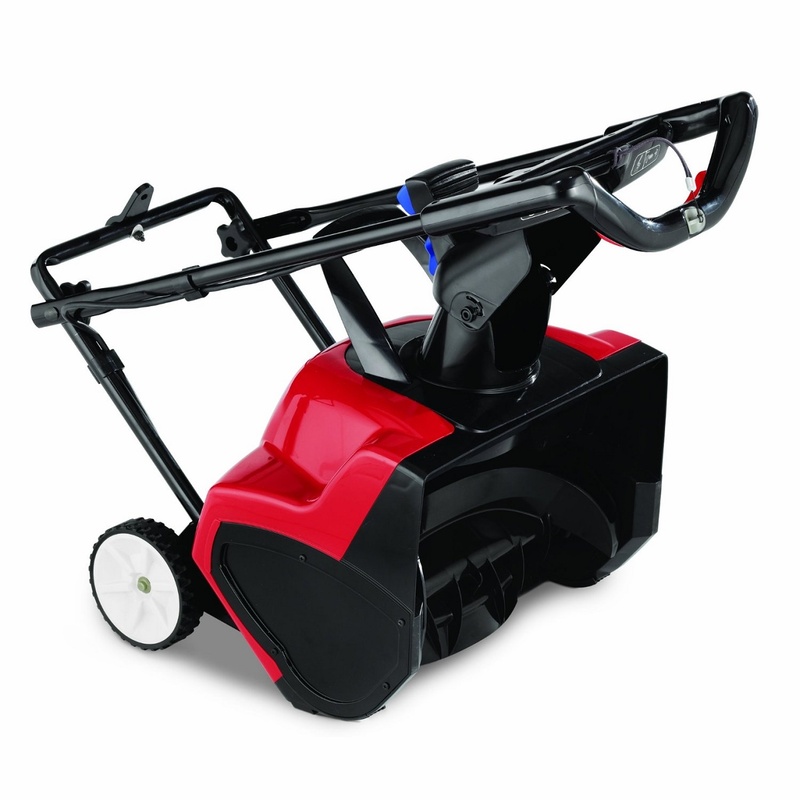 The interlocking handle allows single hand control and increased maneuverability. 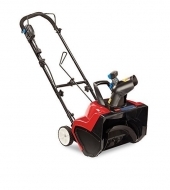 The looped shape of the handle ensures optimum grip and control. 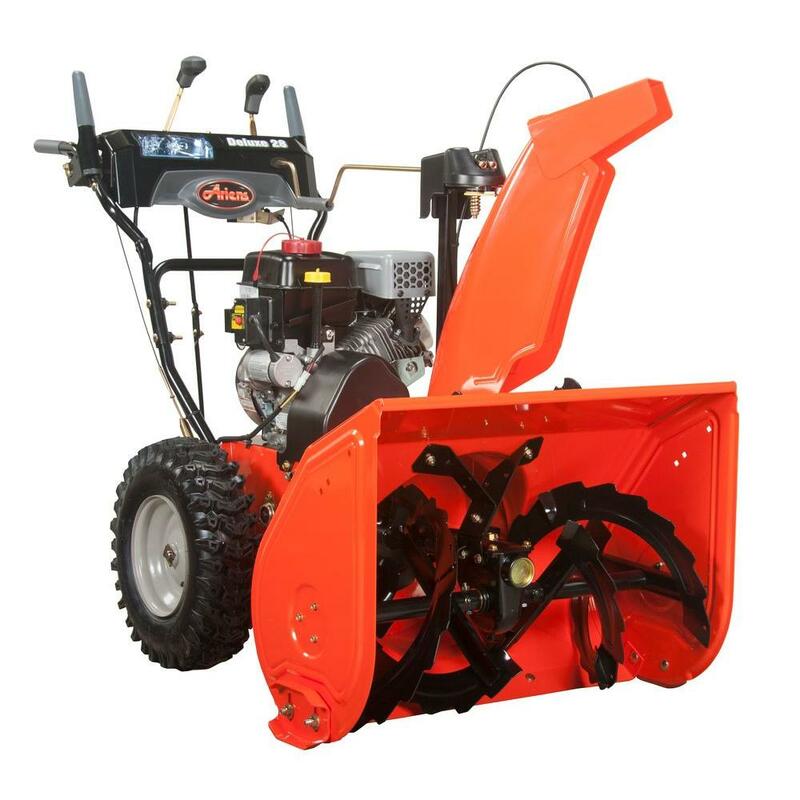 Also, the handle grips are heated in order to make it comfortable and convenient for you to use this snow blower even in extremely harsh weather. 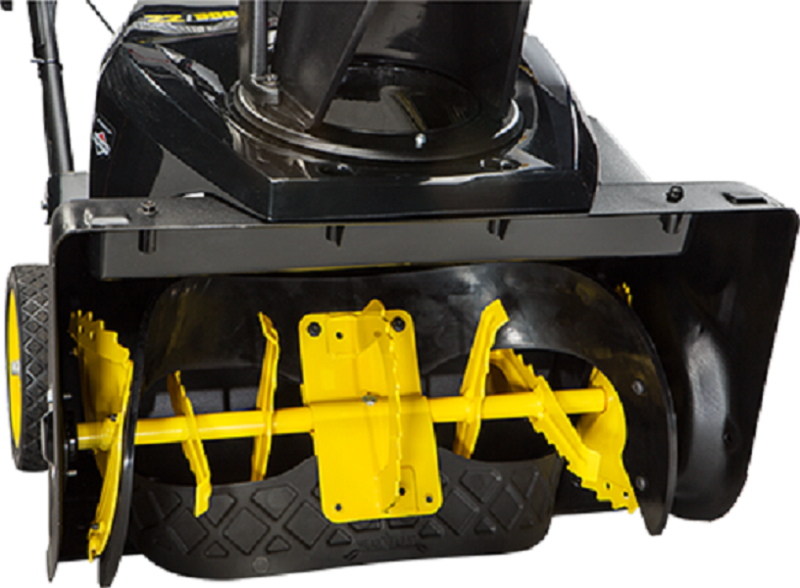 In addition, due to the fact that it features pin-lock wheels, it offers tool-less maintenance. It measures 58.5 inches in length, 24 inches in width, and 40.5 inches in height. 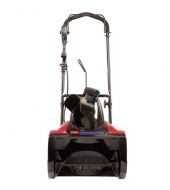 It weighs 198.6 pounds, which makes it one of the lightest and most convenient to use two-stage models on the market. The auger of this model measures 12 inches in diameter. Also, the diameter of the impeller is 12 inches. In addition, the handle can be adjusted in 3 different positions. This way, you will feel less strain and fatigue when you will use it due to its improved ergonomics. The Husqvarna ST224P doesn’t fail to impress when it comes to warranty either. This model is backed up by a 3-year warranty for parts and labor, and a 5-year warranty for the engine. 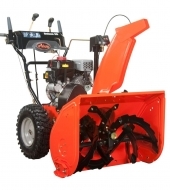 Any issues that you will have with the snow blower during the warranty period will be resolved free of charge by the manufacturer.